BRUSSELS ― The U.S. president has been accused by America’s former top diplomat in Europe of causing “significant damage” to the country’s security relationship with the European Union. In a speech in the European Parliament in Brussels, Anthony Gardner, formerly the U.S. ambassador to the EU, gave a withering assessment of President Donald Trump, saying he wanted to dispel the “myths” of Trump’s foreign policy. “My grandfather Bruno Luzzatto fled Italian fascism and a man, Benito Mussolini, who wanted to ‘Make Italy Great Again,’ but wound up destroying his country. My grandfather witnessed what happens when the institutions of a democracy, including a free media and judiciary, are undermined. He decided to emigrate and speak out when some members of his family stayed to collaborate and advance their careers,” Gardner said. EU security and defense capabilities are currently being beefed up with a network of new defense programs. These include the Permanent Structured Cooperation defense agreement, which EU commissioners have described as a “precursor to an EU military.” PESCO countries would combine resources to develop new weapons and undertake joint missions. 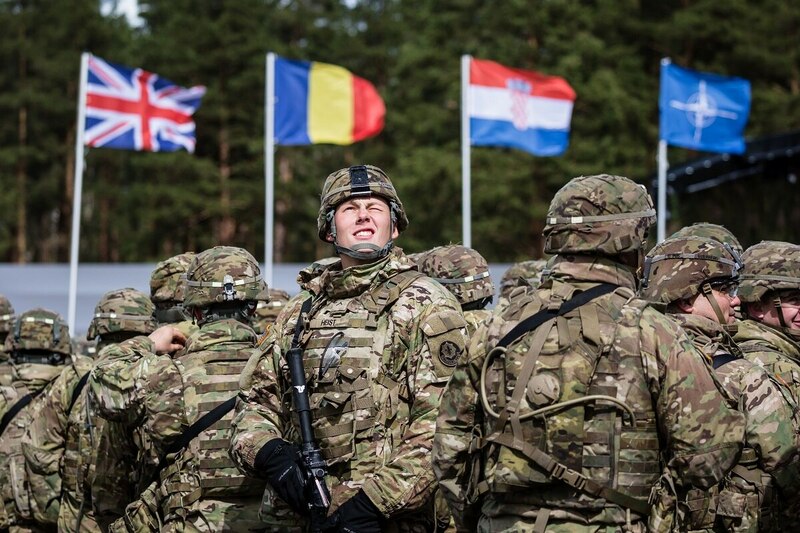 Some fear an extensive EU defense union, another relatively new initiative, outside NATO structures could trigger Trump to pull support for the Western alliance. The potential creation of an EU army also remains a highly contentious issue. “This administration incorrectly assumes that the EU’s military missions and plans to acquire greater responsibilities in the security field are a threat to NATO. This is false: These missions and plans are complementary, not competitive, to those of NATO,” Gardner told a public hearing on U.S.-EU relations, organized by the European Parliament’s Foreign Affairs Committee. “I spent a great deal of time during my mandate in Brussels to promote agreements that facilitated the sale of military goods and services, and the provision of confidential military intelligence and geospatial imagery, from the U.S. to the EU.” Gardner added. Some fear American interest in European security via NATO is waning, as many European countries fail to meet the defense spending target of 2 percent of gross domestic product ― something upon which Trump has publicly insisted. In his set-piece address on whether U.S.-EU relations “can survive four years of Trump,” Gardner said that the relationship has for decades been based on the areas of security collaboration and military cooperation. “The Trump administration is causing significant damage in this area. The decision to withdraw from the Iran nuclear agreement is the most dramatic example; it was taken without contradicting the evidence that Iran has respected its commitments and in the face of strong EU opposition,” Gardner said. Gardner asserted he personally “warned of the incoming administration’s views about the EU” shortly before leaving office. He was appointed by former President Barack Obama and served in Brussels for nearly three years from March 2014 until this past January. U.S. Secretary of State Mike Pompeo recently recognized the EU “as one of our closest partners on our most important objectives abroad,” Gardner noted. ”Those are nice words, but they are totally at odds with the rhetoric and actions of this administration,” he continued. “The president’s own statements make clear that he considers the EU as a club established exclusively to beat the United States in trade, that it is a vehicle of German power, and that it is an ineffective, protectionist and bureaucratic organization that Washington should sideline in its search for bilateral ties with individual European member states. The president thinks Brexit [Britain’s exit from the EU] is a great thing and that other countries should follow. The EU’s trade surplus is considered de facto evidence of cheating.